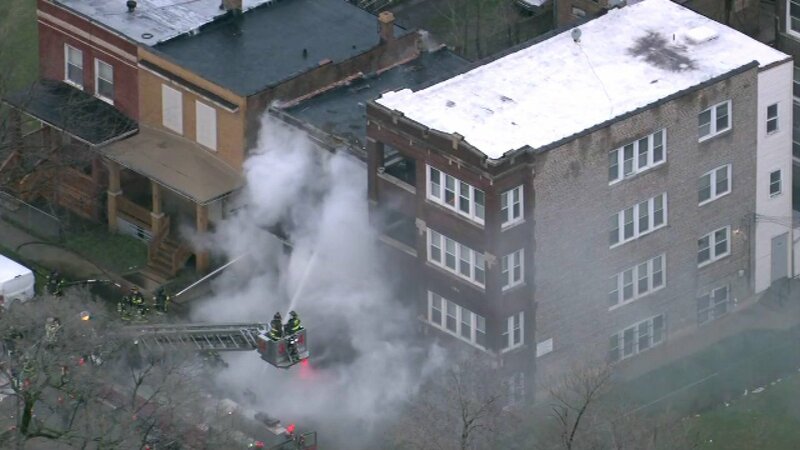 CHICAGO (WLS) -- Flames fully engulfed a vacant building on Chicago's South Side Thursday morning. Firefighters responded around 6:30 a.m. to a report of a blaze in the 6400-block of South Champlain Avenue in the city's Parkway Gardens neighborhood. White smoke billowed out of the building as crews worked to contain the fire. At one point, there was concern the roof might collapse, so firefighters went into defensive mode and worked to extinguish the flames from the outside. Crews also tried to make sure the fire didn't spread to either nearby structures.